Explore Myanmar along off-the-beaten-trails with cycling and hiking activities along with fun experiences like paddle boarding and horseback riding. Leave the frenetic pace of life in Yangon’s city of five million behind, crossing over the Yangon River to Dala Township. Though located only on the other side of the river, Dala is a small, undeveloped town offering a stark contrast to life in modern Yangon. Cycling off the main roads and through the backstreets, you will have an up-close and personal encounter with the people and be able to observe their rustic way of life. After reaching the Twante Canal built by the British in 1881, we cross over to Kanaungto on River Island. Cycle through this car-free town and explore the hidden villages and farms offering a glimpse of life in the agrarian Delta. Take part in a local recreational sport at Inya Lake, Yangon’s largest lake and home to the Yangon Sailing Club. Inya Lake is surrounded by one of the city’s most exclusive neighbourhoods, best known as the location of Aung San Suu Kyi’s house where she spent years in house arrest. A personal instructor is on hand to provide guidance for either sailing or stand up paddle boarding (SUP). Enjoy the beautiful natural surroundings while having fun on the lake with other locals and expats. 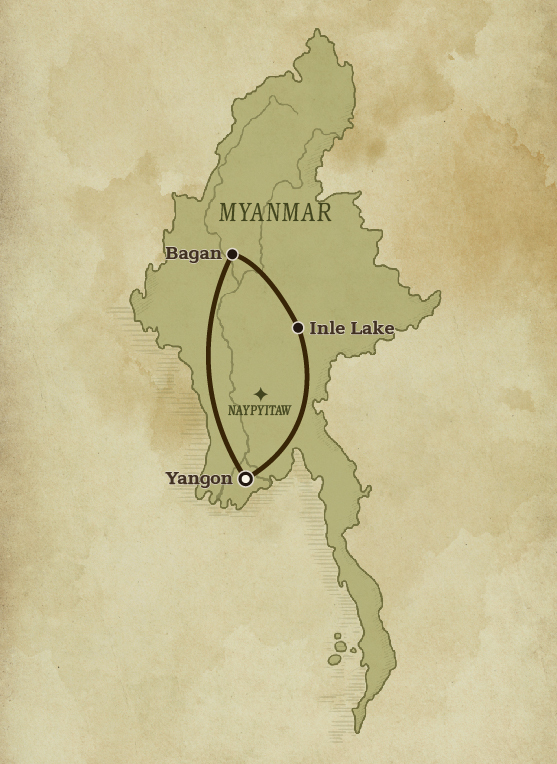 Formerly known as Pagan, this ancient town was the capital of several ancient Burmese kingdoms. From the 11th to 13th centuries, more than 4,000 temples and pagodas were built, of which approximately 2,200 remain standing today. Explore some of these temples by bicycle, at times cycling off the main paths to reach the lesser-known temples accessible only by narrow dirt tracks. Travel outside Bagan to Htee Pu Village to begin our horseback-riding trip through the countryside. The gentle ride takes you through peaceful rural villages with stops to observe the making of some local specialities such as jiggery (palm sugar). You will also come across some traditional customs that are unique to the villages such as children wearing the traditional topknot with front fringe which is locally called ‘Yaung Pae Soo’, believed to have originated from the Pagan period. Drive from Bagan to Mount Popa, an extinct volcano considered the sacred home of the nats (spirits). Mount Popa attracts visitors mainly for Taung Kalat, a monastery which sits on top of the volcanic plug, reached by climbing 777 steps from the base. The area surrounding Mount Popa and the national park offers ideal hiking opportunities with spectacular views and bird watching along the trail. Upon reaching the summit, you are rewarded with an uninterrupted view that extends as far as Bagan, on a clear day. 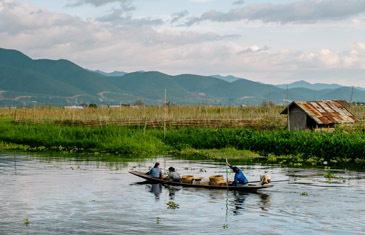 Inle Lake, located in Shan State, is the second largest freshwater lake in the country, set against the backdrop of the picturesque cascading Blue Mountains. 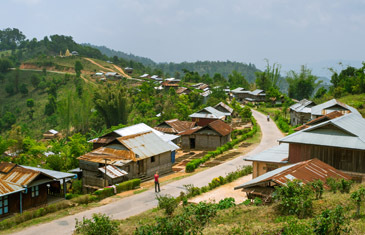 The peaceful villages and sparse traffic in the outlying area of Nyaung Shwe offer the perfect cycling opportunity. From Nyaung Shwe, embark on a short, leisurely cycling trip to the Shwe Yan Pyay Monastery. Built in the 19th century, the monastery provides religious and secular education for boys from poor families. Cycle onwards to Htet Ein Cave where you’ll discover a hidden temple located inside the cave. Continue on the scenic route to Red Mountain Estate Vineyards & Winery, only one of two wine producers in the country. Participate in a tour of the facility and sample their award-winning red and white wine selections. We take a boat to Maing Thauk Village, the starting point of our hike to the hilltop Tawya Kyaung Monastery. The quiet trail passes a nursing school and an orphanage where you can stop for a visit. Arrive in time for an early lunch where we will also make an alms donation to the monks. Enjoy the panoramic views of Inle Lake and the surrounding Shan mountain range before descending through bamboo forests. Continue the hike passing through a few Shan villages and observe their quiet way of life. Transfer to the airport in Heho for your onward flight via Yangon International Airport. 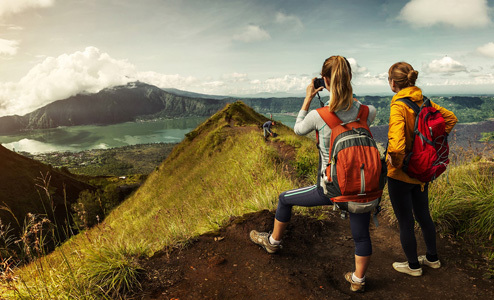 Enjoy a thrilling outdoor adventure across Bali experiencing up-close some of the must-see natural wonders and ancient sites from mystical volcanoes to tranquil river valleys. Adventure abounds on this all-action journey through some of Vietnam and southern Laos' most naturally beautiful and fascinating areas – experienced by trekking, cycling, motorbiking, climbing and caving.